Essentially, this is the first genuine coming-together of IT and network-connectivity sourcing services within an advisory model. While most traditional outsourcing advisors are firmly-rooted trying to maximize cost-efficiencies for their clients through lower-cost labor offerings in IT and BPO, they often overlook the additional savings on the table they can generate for CIOs through smarter sourcing and management of all telecom and wireless connectivity expenditure. Hence, this merger is a win-win for both parties - Alsbridge can introduce TAG's benchmarking, sourcing/procurement and network expertise to its clients, while TAG's clients can benefit from Alsbridge's broader outsourcing and pricing expertise across both IT and BPO domains. Moreover, TAG adds another 30 experienced networking practitioners to the merged entity, significantly enhancing Alsbridge's firepower as we move into an aggressive 2010 marketplace. I interrupted TAG's President Dieter Thompson during a deep-sea fishing expedition earlier today, and he added, "We're in the right place at the right time, in a challenging environment, to help execute our clients' business plans which many set in motion in 2009." In addition, Alsbridge CEO, Ben Trowbridge, dragged himself away from the Cowboy's ongoing playoff celebrations to add, "While ITO and BPO purchasing is relatively straightforward these days, network services are complex. Acquiring data-rich consulting capability across IT, BPO and networking domains is providing the meat to the sourcing strategy." Phil: A fine example of both firms moving up the value chain re: their core offerings. They should be able to leverage their trusted advisor relationships and sell into each other's portfolio. Smart move. Very smart move from Alsbridge. The advisors need to broaden their expertise across their clients' business funtions in many other areas of productivity, than relying solely on low-cost outsourcing. Kudos for highlighting this, Phil! Finally something different from the sourcing advisors. Good work Alsbridge! 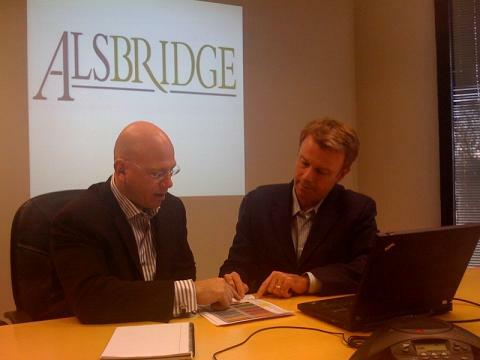 Phil - certainly a good move for Alsbridge, and shows how these intermediaries are performing an increasingly important role at all levels of their clients as they look at multiple options to reduce costs. However, it surprises me that none of the management consultants have made moves to acquire any of these specialist boutiques, such as Alsbridge or Equaterra. Do you see this happening any time soon? @ Anil: Several of the large management consultancies flirted with acquiring boutique advisors in recent years, but opted to develop their own practices organically. While some have succeeded in picking up some strong talent (i.e. Deloitte, KPMG, PwC) they all tend to approach their clients with the "traditional" consulting model, which many clients simply cannot afford in this economy. With boutiques, such as Alsbridge, developing real data-rich offerings, they actually have real product and IP to supplement consultative offerings that is worth acquiring - whereas in the past their main strength was people. Lifecycle management is one of those dirty jobs that produces cost savings and improves outsourcing, but is so painful that even the most efficient firms have trouble getting around to doing it. Any sourcing advisor that also offers lifecycle management is doing their clients a big favor.